Can a Spouse Claim a Portion of an IRA After a Divorce? When a couple divorces, dividing assets is often the most challenging part of the process. An individual retirement account is solely issued to one person, but the spouse may still claim a portion or even all of the IRA during the divorce negotiations. After a divorce is finalized, the decree sets the rules you and financial institutions must obey. An ex-spouse has no right to claim any IRA distributions once the marriage is dissolved and the order is established. All assets a couple owns, whether joint or separate, must be reported to the court during a divorce. Both parties are required to complete financial affidavits, providing information about their income, assets and liabilities. During a divorce, it is typically best to reach an agreement on asset division before going to court. When a couple cannot agree, the divorce is contested and the judge must make a decision. In community property states, all marital assets are shared. If you own an IRA you acquired during your marriage, you may be required to split the asset with your spouse. Equitable distribution states do not necessarily require assets to be divided equally, just fairly. The person awarded the IRA in the divorce is the legal owner and must treat the IRA as her own. If the IRA is split, the distribution is treated as a tax-free transaction as long as there is a court order. A couple who decides to divvy up assets before the divorce goes to court can face immediate taxes and a 10 percent IRS penalty. To avoid taxes and fees, complete the transfer via direct transfer between trustees by contacting the current IRA provider. There are two methods for dividing IRAs. The most common method is keeping the name on the original account. If an entire IRA is being transferred to a spouse, that spouse can set up a temporary IRA through the same company to receive the funds. 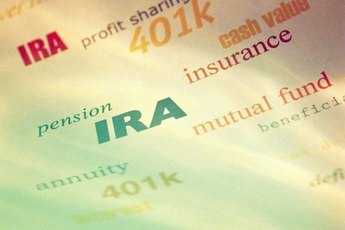 If the IRA is being divided, only the spouse's share is transferred to the temporary account and the remaining share stays in the existing IRA. 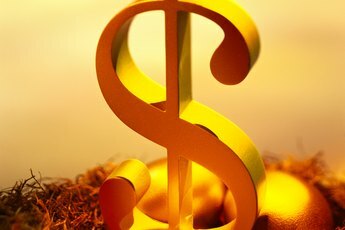 After the transfer is complete, the recipient can either keep the funds in the account or transfer the funds to a new IRA with her choice of provider. If the entire IRA is being transferred to a spouse, an option is to change the name on the existing account to the receiving spouse's name. If the IRA is being divided, the original owner transfers his share out of the account and into a new account. The funds the spouse is ordered to receive remain in the original account.